Kat is just like other fourteen-year-old girls. Except this summer, she's spending four weeks at a Health Camp . . . otherwise known as fat camp. Can she lose the weight she needs to be able to do the things everyone else does? Or will she let her body control her? The Summer I Lost It was really quick to read and only took me around half an hour to read. It's an easy read, so it goes pretty fast. 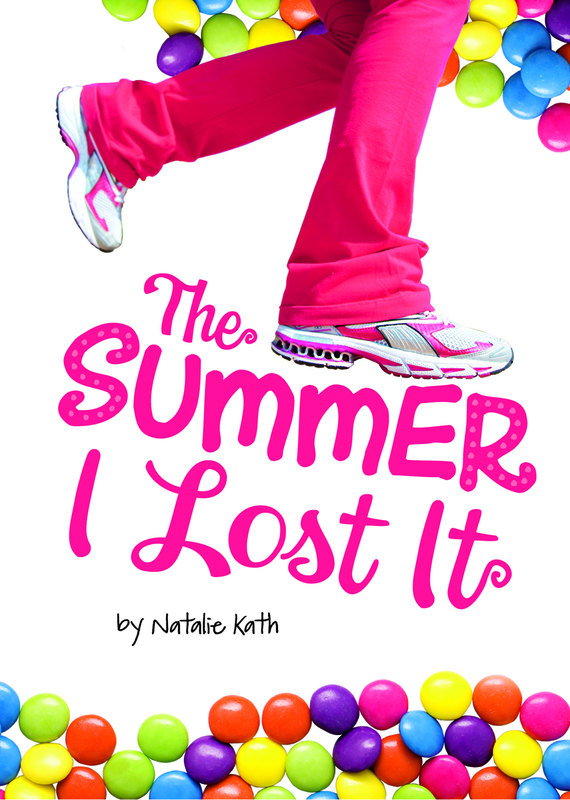 It's more like a "tip" book, on how teens can kinda lose weight through the story of Kat and her desperate attempt to lose a bunch of pounds. I gotta tell you, this might actually inspire me to walk out more. I'm such a lazy person I swear. I could live on my bed. But enough of that for now, onto it! I found Kat and okay character, and because this book was really short, you really don't get to know her. But I definitely like her determination and drive to actually do something about her weight. I love her crush, Conner! I love him because he actually likes Kat for who she is, and not what she looks like. He's so sweet! Totally hate the other guy. The synopsis however, is a little bit off. It kinda implies she DOES go to fat camp when in fact she DOESN'T. Kinda weird, but off well. It's still a great book which anyone can read! Overall, I found The Summer I Lost It an inspirational book, with everything right: little bit of info, fun and puppy love. Natalie Kath has also included amazing tips at the back, so it makes it even more worthwhile!